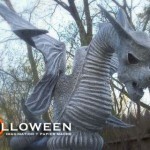 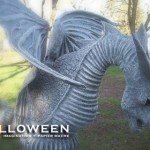 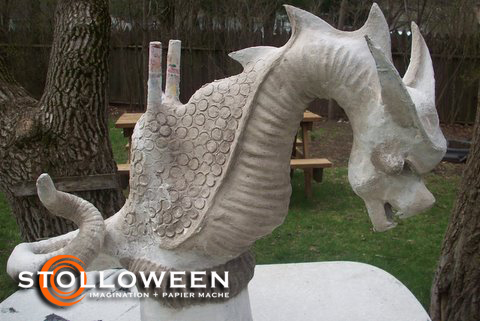 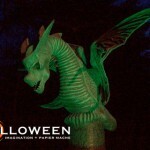 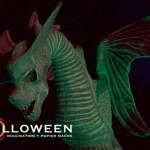 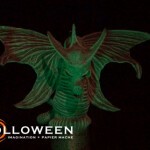 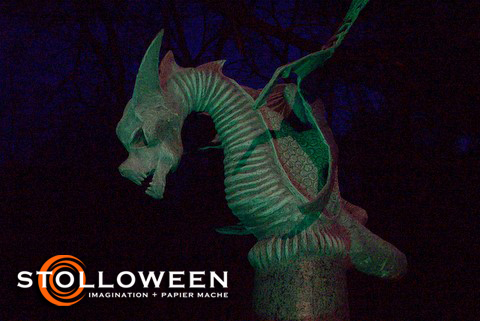 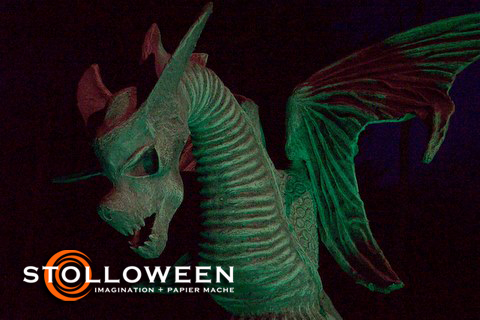 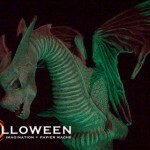 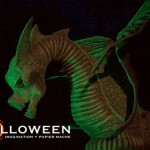 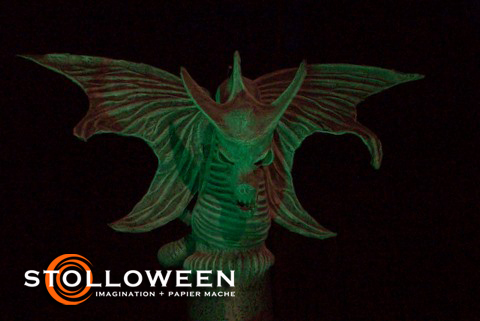 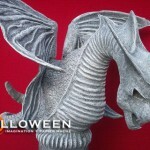 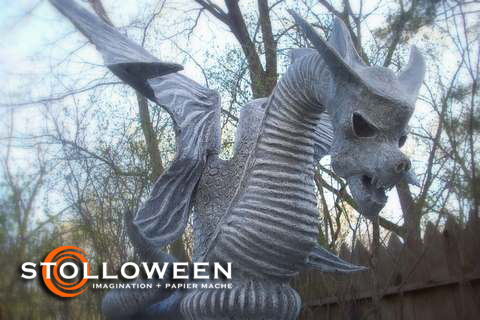 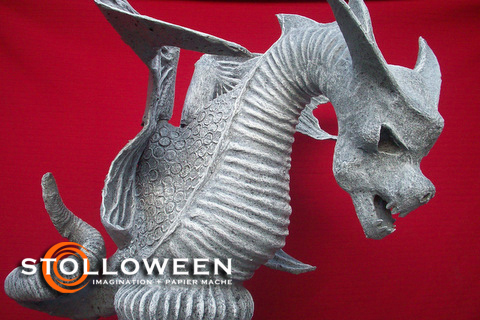 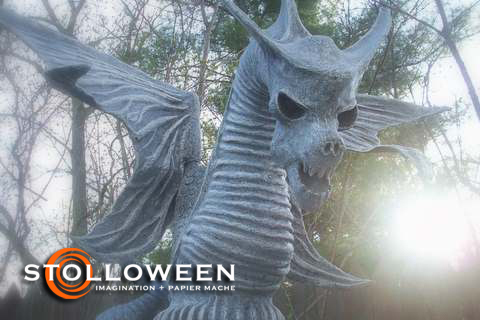 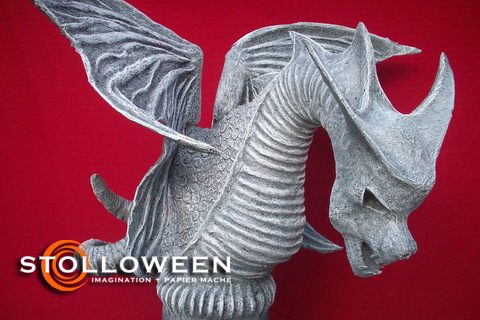 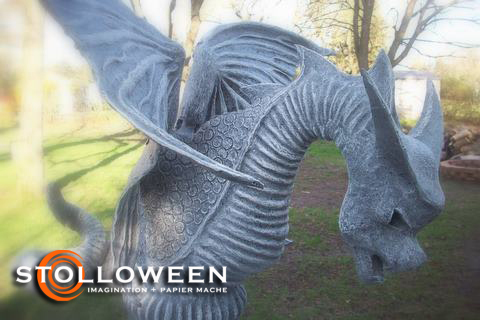 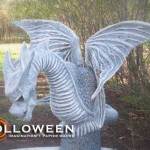 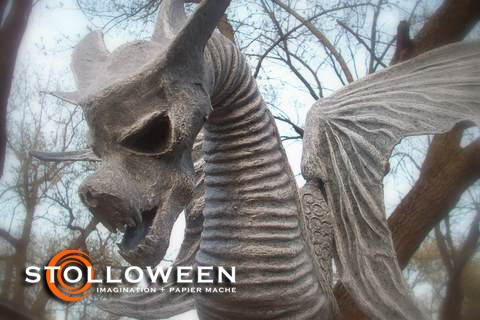 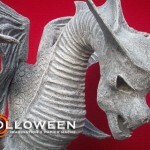 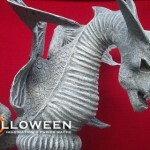 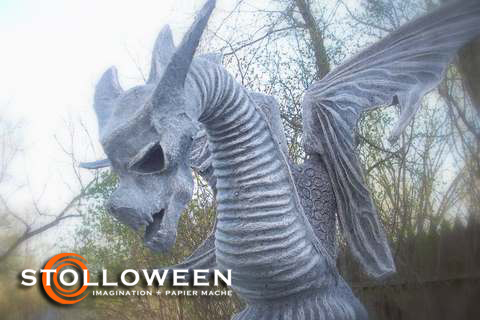 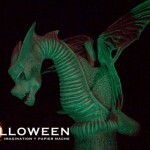 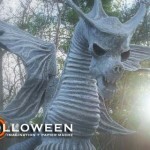 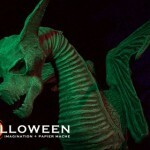 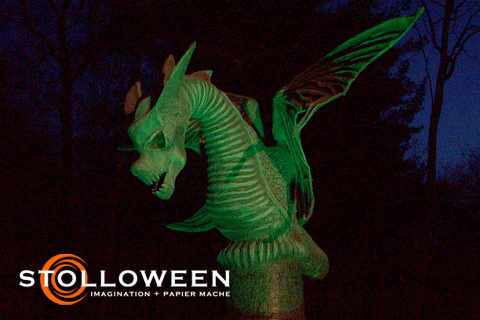 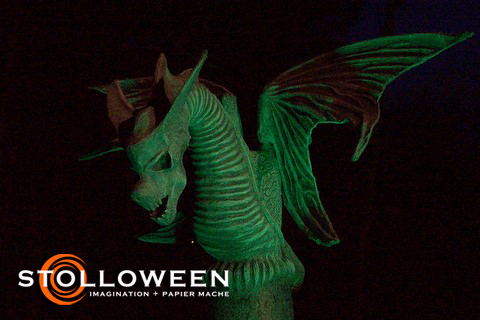 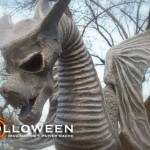 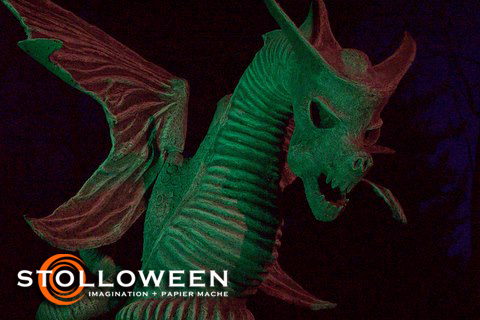 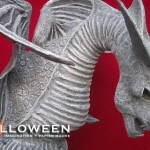 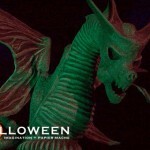 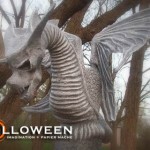 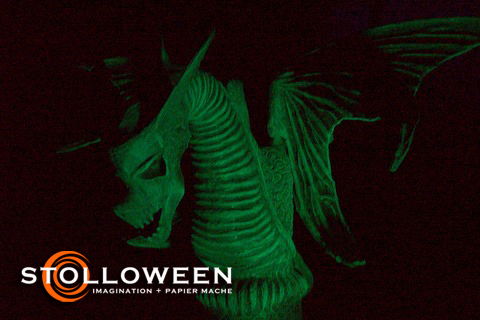 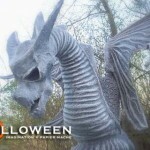 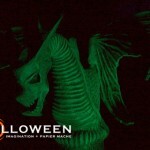 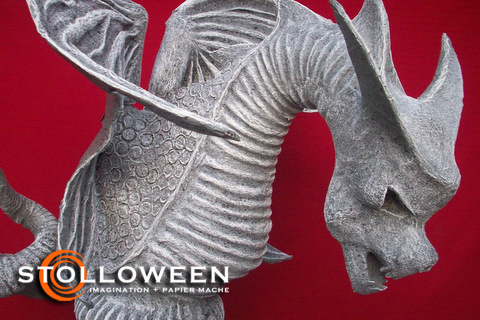 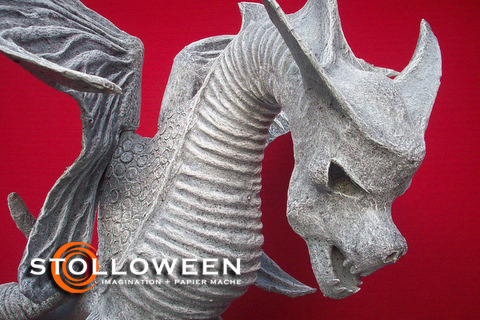 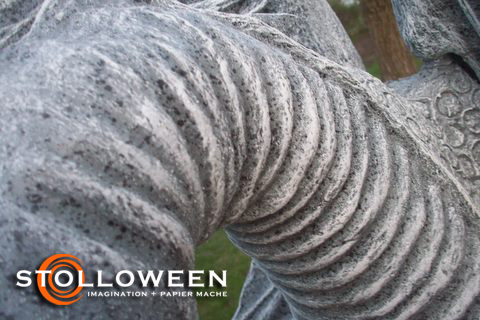 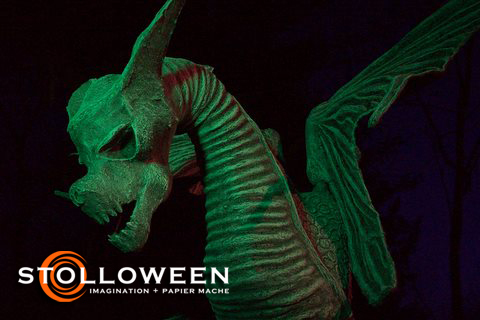 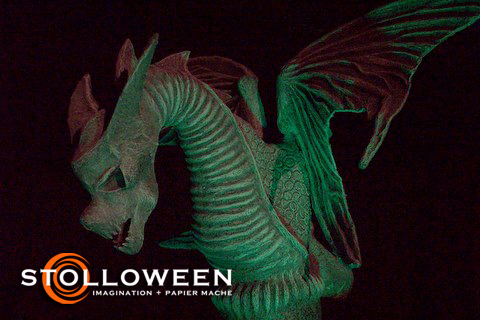 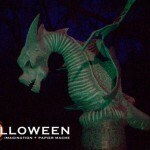 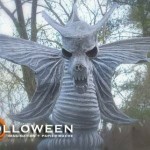 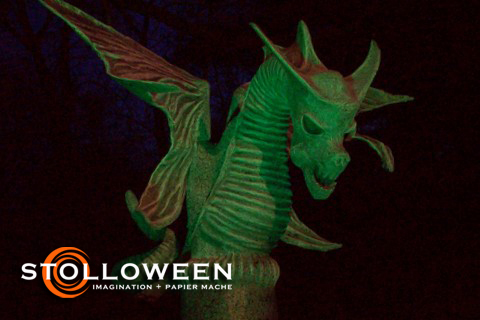 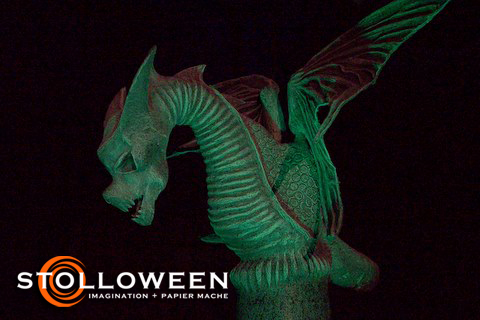 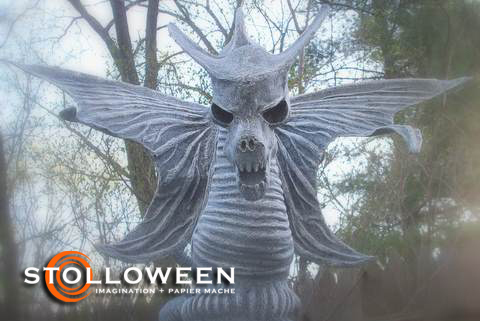 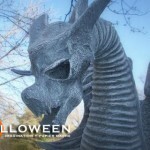 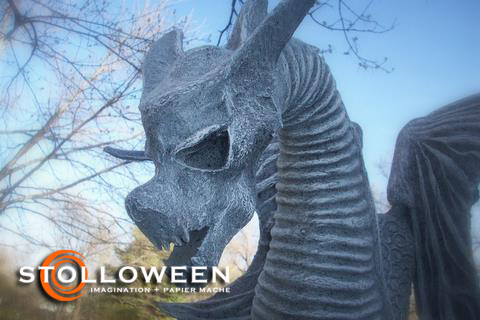 The Serpent Gargoyle was created for the $20 Prop Challenge at HauntForum and required contestants to create a Halloween prop using any means and materials as long as the total price did not exceed $20.00 US dollars. 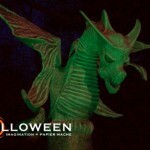 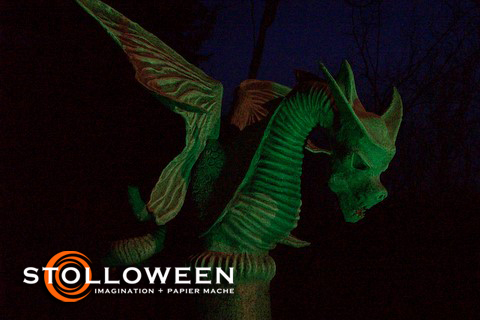 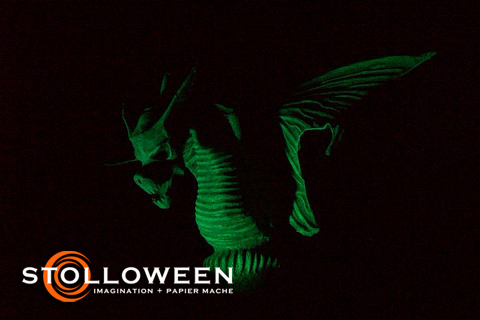 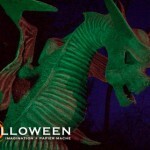 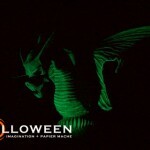 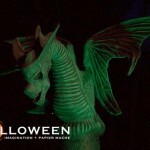 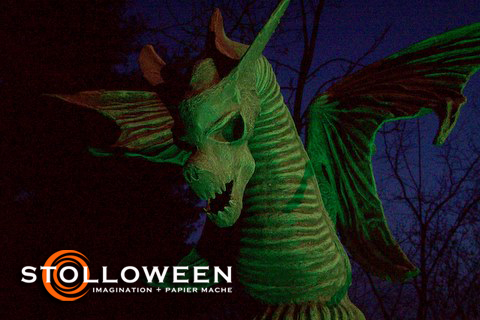 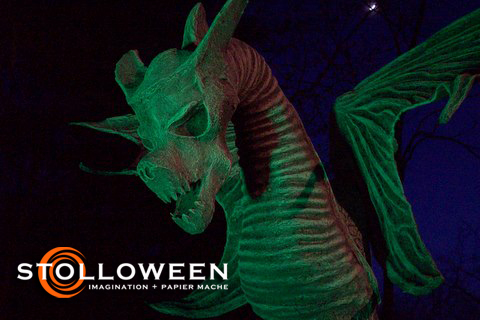 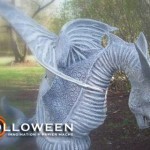 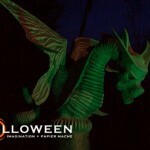 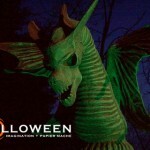 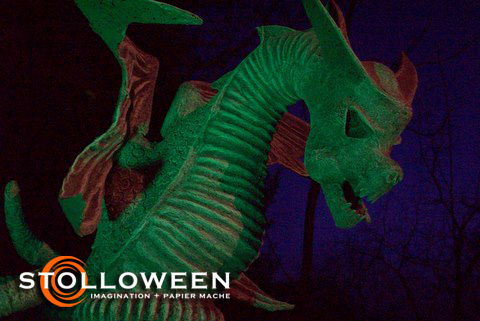 The Serpent was created from a wide variety of recycled materials and several papier mache techniques resulting in a piece that stands over three feet tall with a wing span of over four feet. 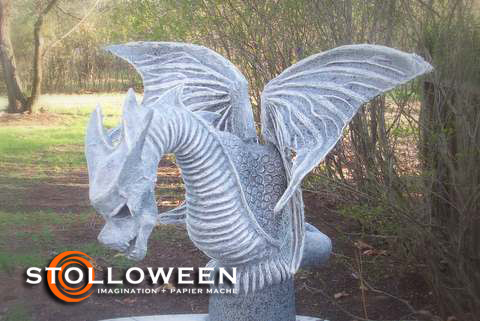 Due to the size the wings were designed to be detachable to allow for easy transport and storage. 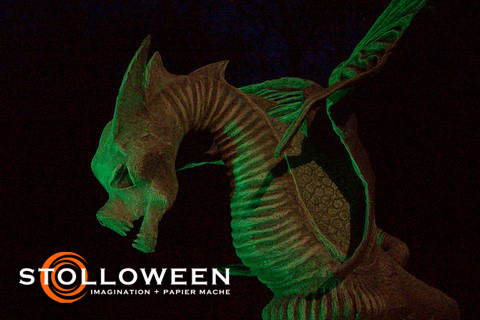 The creature was designed to be displayed above eye level so that the Serpent looks down upon unsuspecting guests. 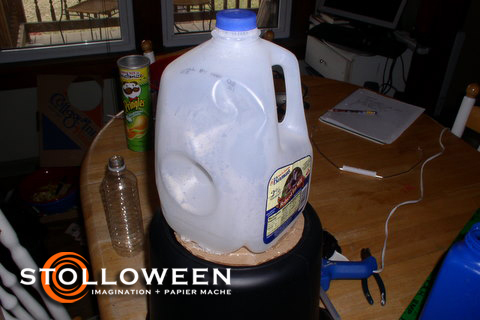 The entire piece weighs about 15lbs and cost $16.65. 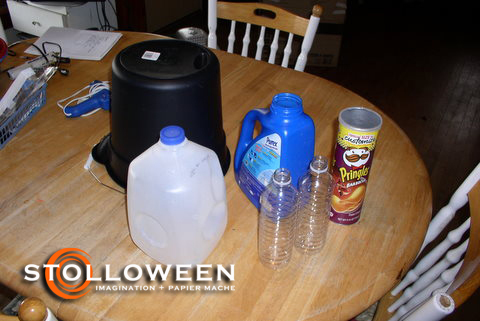 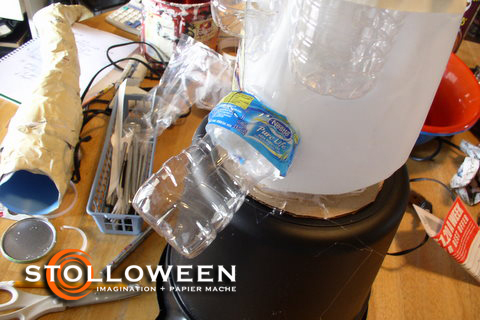 The project started with the construction of the armature which consisted of a plastic bucket, plastic milk jug, plastic laundry detergent bottle, water bottles, Pringles container, plastic grocery bag, newspaper and recycled cardboard. 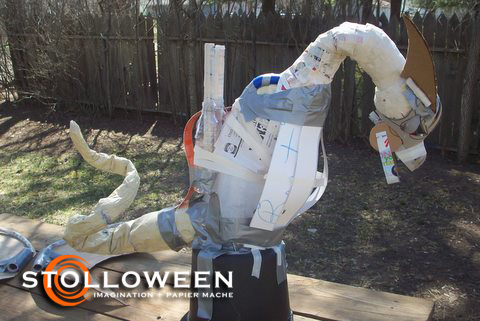 Hot glue, duct tape and masking tape were used to attach the different pieces to complete the finished armature. 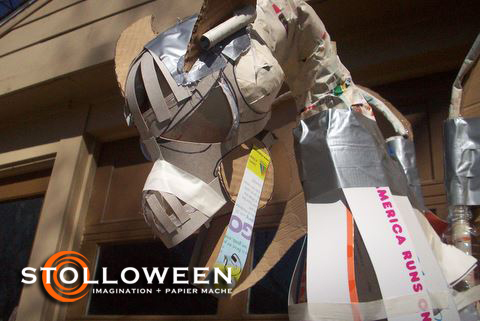 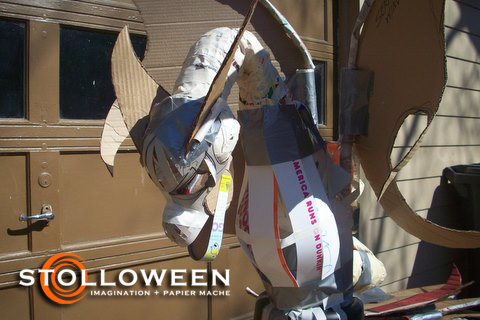 The tail was created by wrapping and taping newspaper around a piece of utility wire. 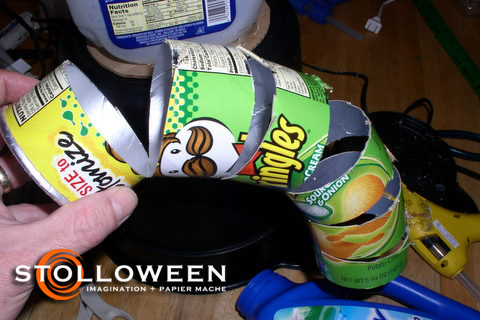 The neck was achieved by cutting slits into a cardboard Pringles container allowing it to be curved. 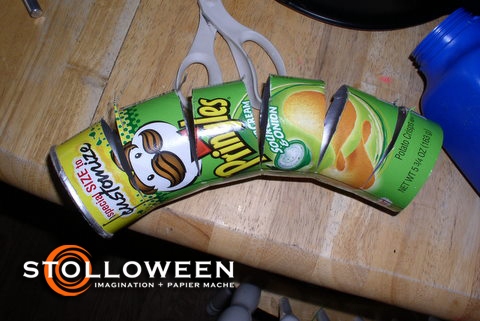 Utility wire and newspaper were inserted into the inside of the Pringles container for strength and support. 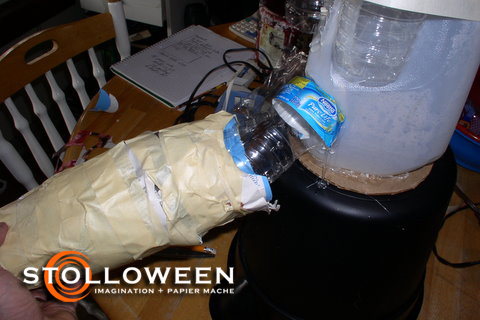 Two water bottles with rolled up newspaper glued into the mouth of the bottle and mounted on the back created the support structure for the wings. 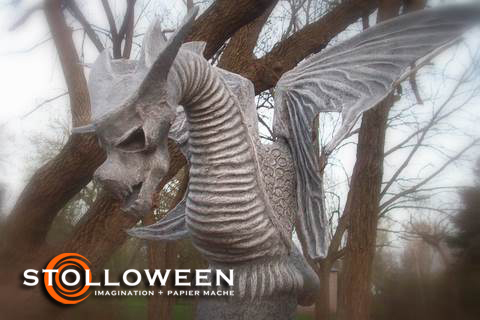 The wings for this project were created separately to help with transport and storage. 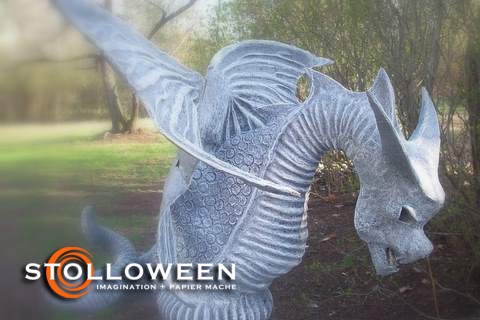 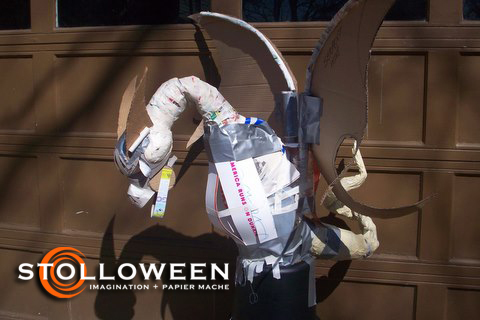 The wings were created from recycled corrugated cardboard and had a tube of rolled newspaper attached which allowed them to slide over the newspaper tubes mounted on the back of the Serpent. 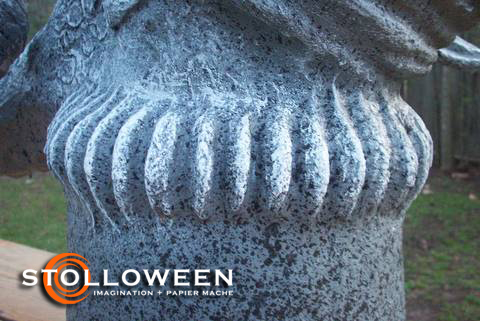 Wood pencils were secured into the inside of the newspaper posts for strength. 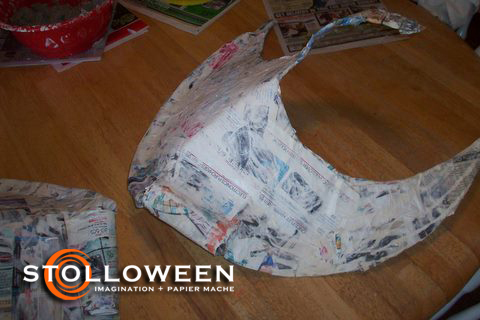 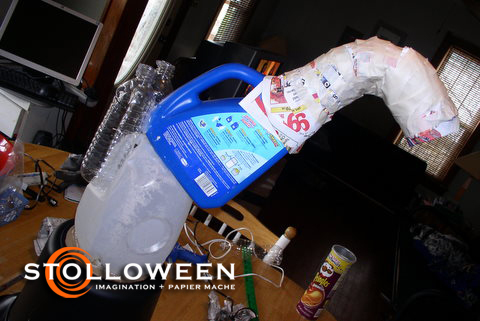 The head was created by stuffing a plastic grocery bag with newspaper then wrapping securely with masking tape. 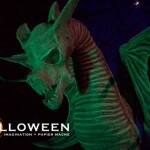 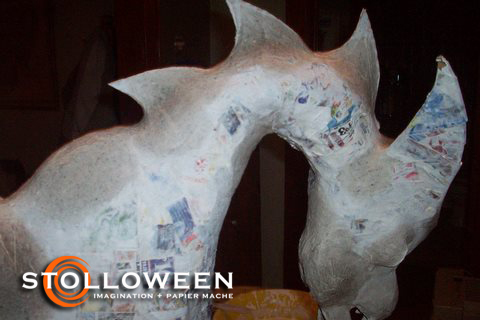 The facial structure, jaw and horns were created with recycled cardboard. 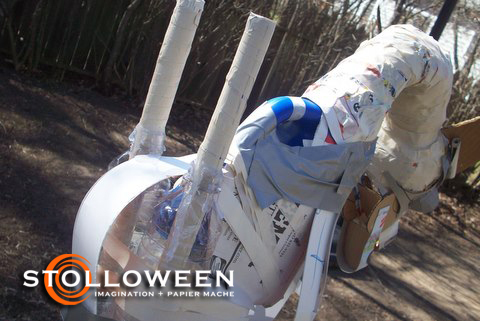 As the armature was assembled attention was paid to maintain balance, the addition of the tail basically offset the weight of the head. 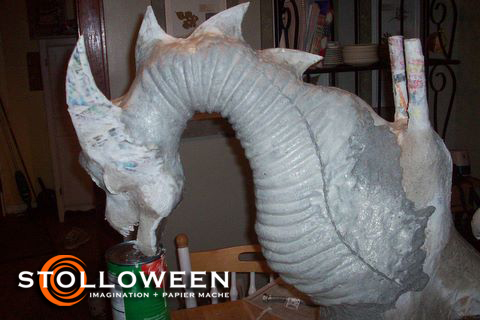 Once the body and wing armatures were complete the entire piece was coated with about ten layers of papier mache strips. 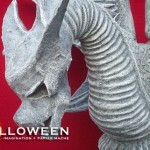 The many layers blended all the different elements and made the piece very strong. 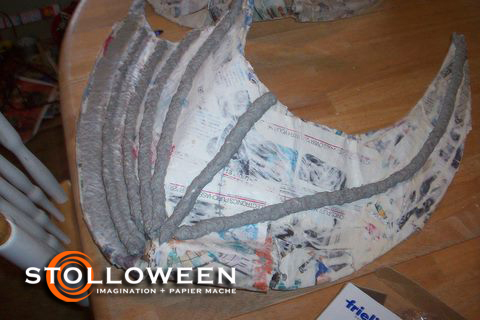 The strips were simply pieces of newspaper coated with papier mache paste. 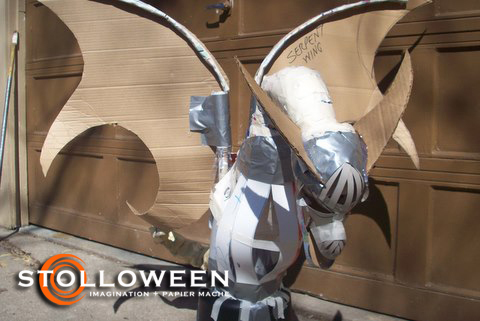 After the wings had been coated with the layers of papier mache strips they were strategically placed during drying to create the various curves and bends. 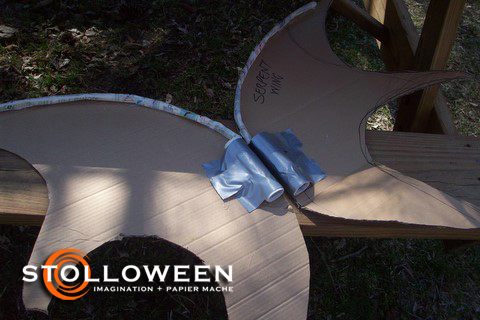 Each wing was placed on a plastic coffee container allowing the bottom tip of the wing to drape down while the other tip was propped upwards. 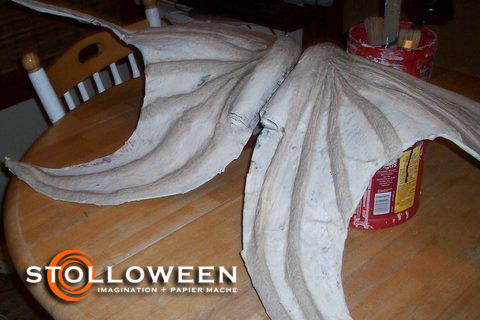 Once dry each wing had appropriate curves. 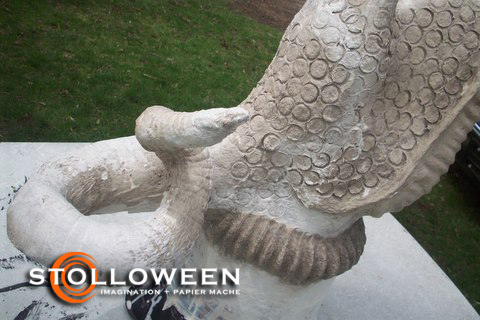 The outer layer of the Serpent was coated with homemade papier mache clay made from cellulose fiber insulation and papier mache paste. 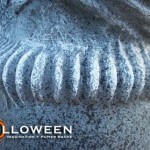 A variety of methods were used to create the various textures and features. 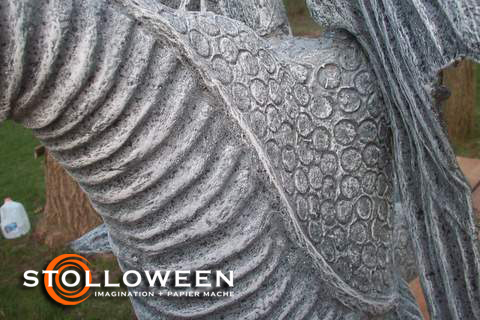 Sunflower seeds were used to create the teeth for the Serpent, an easy and inexpensive approach. 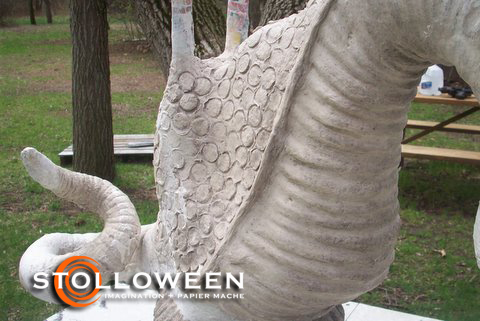 The ribs or veins in the wings were created by using a cookie press to squeeze the clay into thin tubes. 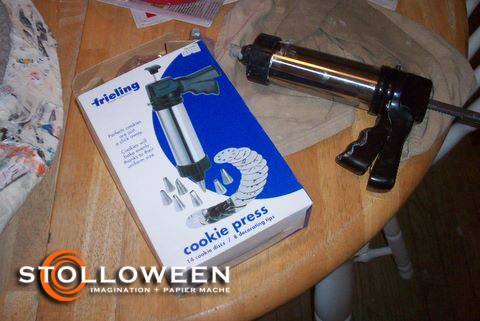 The cookie press was very useful making creating the veins very fast and consistent as opposed to rolling the clay by hand. 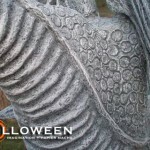 The circular scale texture featured on the back side of the Serpent was created by pressing the mouth of a plastic water bottle into the wet clay, very simple and effective. 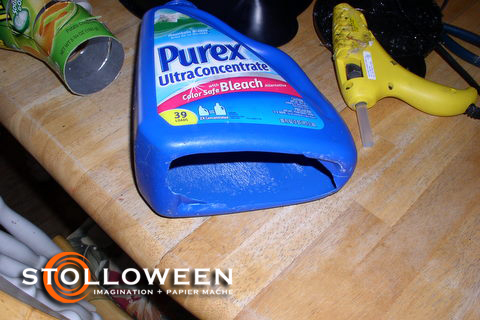 The painting technique consisted of using gray latex floor paint as a base. 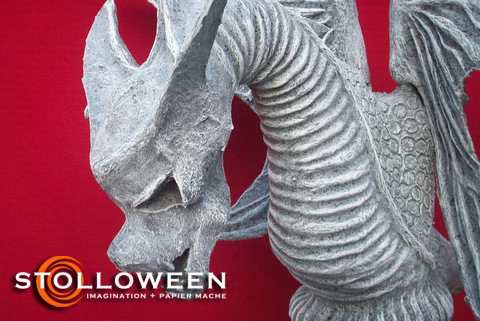 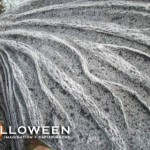 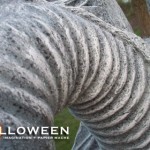 Black latex paint was then splattered onto the entire Serpent and wings creating and interesting stone-like texture effect. 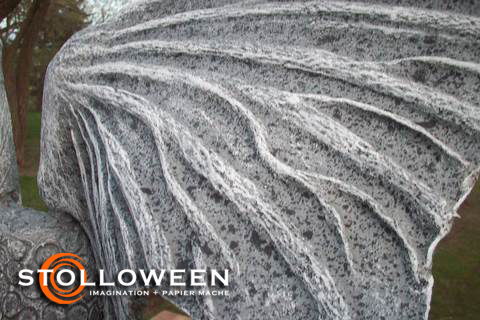 The final painting step involved dry brushing white latex ceiling paint to highlight the various textures.